Fun fact about me: I will basically eat chocolate banana anything. Really. Remember when I made those Chocolate Covered Frozen Banana Pops earlier this month for the return of Arrested Development? I ate all of them by myself. I didn’t even mention to anyone else that they were in the freezer. So when I learned that Corner Bakery sells baby bundt cakes that were chocolate and banana and walnut, I was immediately sold. It was probably the best dessert I have ever had from the restaurant, which is saying something because I have tried almost every single one. I immedaitely went home and tried to recreate it. Although the pictures do not do the recipe justice, the cakes were amazing. I might have had two at one time. Maybe. 1. Pre-heat oven to 350 F and spray baby bundt pans with vegetable oil. 2. Cream together butter, sugar, eggs, and vanilla. 3. Gradually add in flouur, baking soda, and baking powder. Mix until smooth. 5. 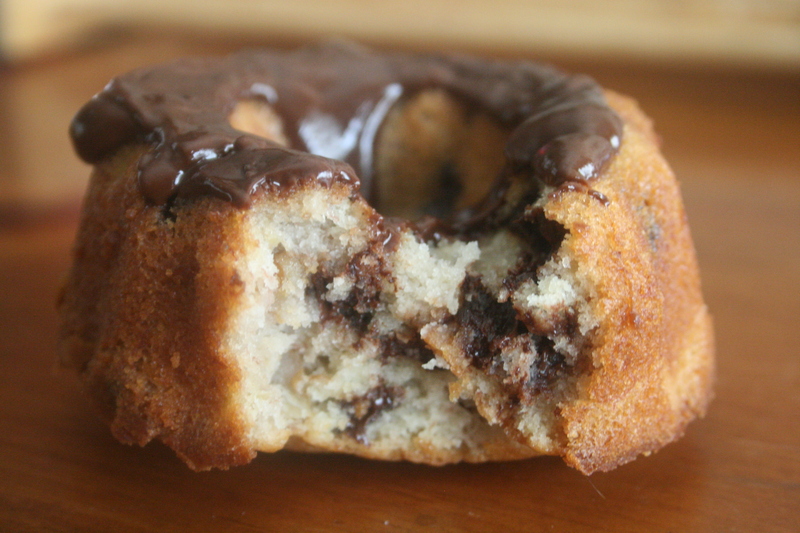 When the milk is well blended into your dough, add in the bananas, chocolate chips and walnuts. 6. Spoon batter into the cake pans. Bake for 40 minutes. Let them cool completely before you glaze them. 7. While the cakes are in the oven, make the chocolate glaze. Combine all the ingredients in a microwave safe bowl. Microwave for 1 minute. Stir until mixture is smooth. 8. Glaze the tops of each of your cakes. Serve with milk! omg these look delicious and amazing. I love chocolate chip and banana together so this is the perfect thing. 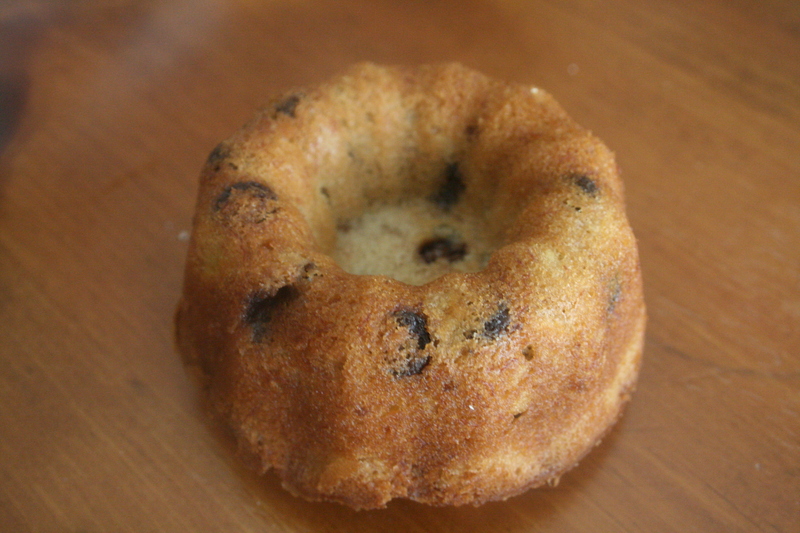 I guess I need to buy a mini bundt cake pan now!